Sopore: 11 Sep (Agencies)The family of the Lashkar militant who was killed today in Handwara along with his accomplice, on Tuesday said that the slain’s sister was scheduled to get married today. Liyaqat Ahmad Lone, Lashkar recruit, was killed with his associate at Handwara in northern Kashmir’s Kupwara district on Monday. Lone’s brother was married yesterday. Father of two children, Lone, according to local reports, had joined militant ranks on July 7 this year, marking the second anniversary of Hizb commander Burhan Muzaffar Wani. 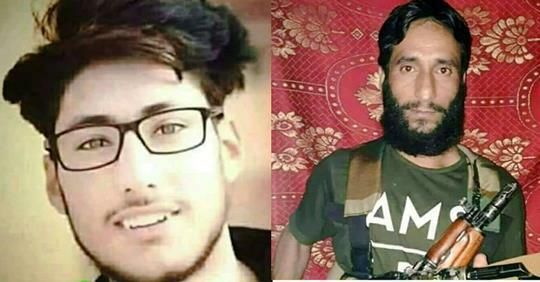 Liyaqat son of late Ghulam Mohi-ud-Din Lone of Harwan Sopore had announced his joining militant ranks on social media by wielding a gun. Liyaqat was killed along with his associate, Furqan Ahmad of Handwara, in the gunfight with joint team of army’s 30 RR, CRPF’s 92 battalion and SOG at Galoora Langate early on Tuesday.